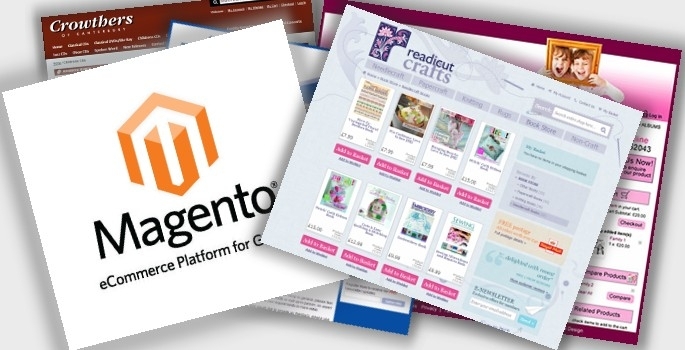 Cornish WebServices have successfully designed and developed eCommerce stores on the world famous Magento platform for a range of clients including Grahams Hi-Fi, Occasion Photo Frames, Crowthers CDs and Readicut Crafts. No matter how large or small your store is, our Magento development solutions can help you get found online and encourage your customers to make successful purchases. We design beautiful, highly effective Magento online shops which are designed to be highly visible to search engines in order to grow your customer base and increase your business revenue from your store. We have expertise in a wide variety of Magento modules including single step checkouts, advanced reporting, custom attributes and many more. No matter what you're selling, we'll help you draw in customers. Why not check out our eCommerce portfolio to see some of our breathtaking design work? “The website is doing very well under your leadership and you are always on the phone when I need you, very helpful." If you are a designer looking for a Magento developer then we offer complete flexibility to give you the creative freedom to bring your client's business to life. We don't make use of pre-existing templates or themes - all our Magento stores are coded straight from the ground up which gives you total and absolute freedom. “I’m impressed. Thanks for the time it must have taken you to respond so comprehensively to our questions. It’s much appreciated!" “The website is doing very well under you leadership and you are always on the phone when I need you, very helpful."